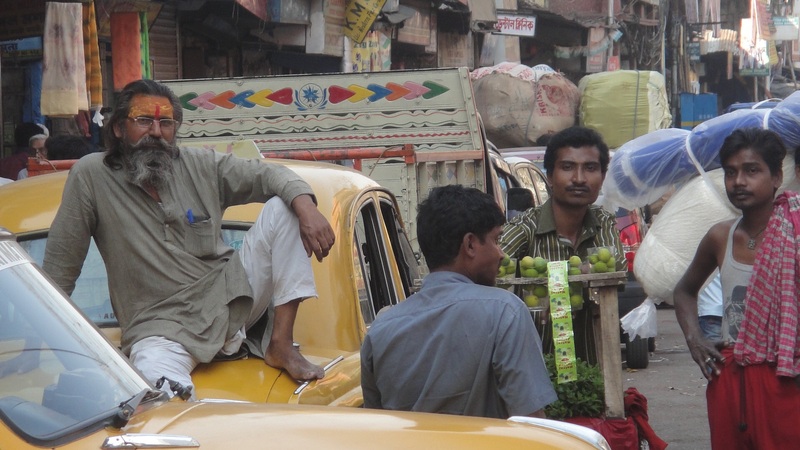 ← I’ve Dipped My Toes in Kolkata. 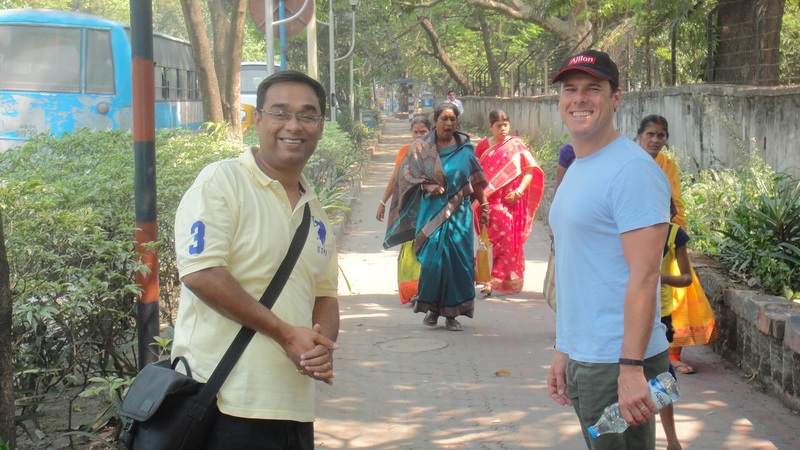 We have just done a walking tour of Kolkata. Crazy, right? Most people thought we were crazy to come to this city full stop, let alone wander the slums by foot. Now I’m normally like the Australian Broadcasting Corporation: no product placement or mention of private companies. 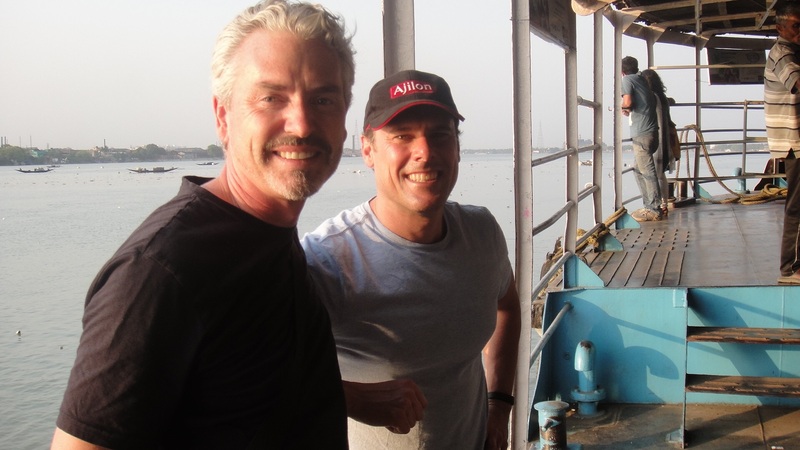 However, “Kolkata Story Trails” provided the best tour I have ever done in India – perhaps even anywhere (big call!). 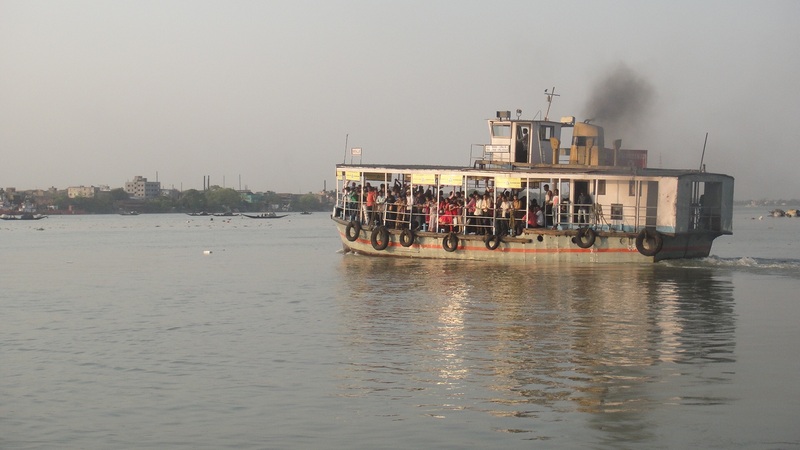 A tour tailored just for us, designed to reflect the experiences that interested us, using public transport, a guide who answered any and all questions we had, and who could take us deep into the Kolkata that only a local knows. I’m sure that later on at 7.30pm, standing on the banks of the Hoogly (Ganges), having walked 17.64 kilometres, he was regretting having asked that question. 17.64 km. That’s 24,575 steps. 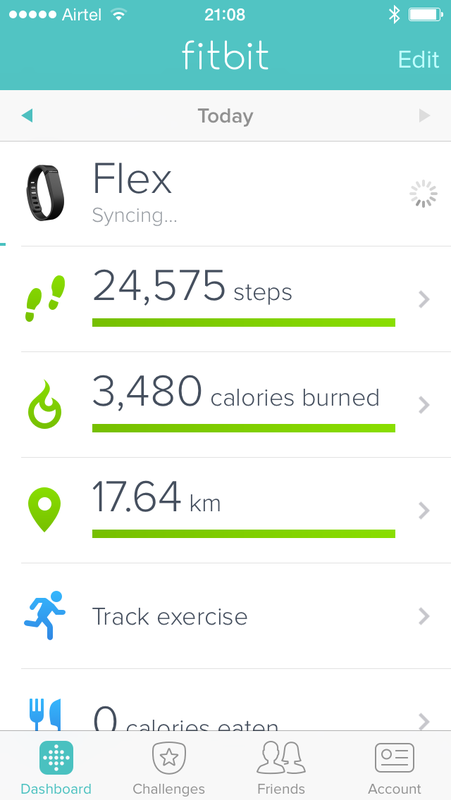 I received a FitBit for my recent birthday and it records all my exercise, so I’m not making these figures up! But do you know, I could have still walked another couple of kilometres of this amazing city. 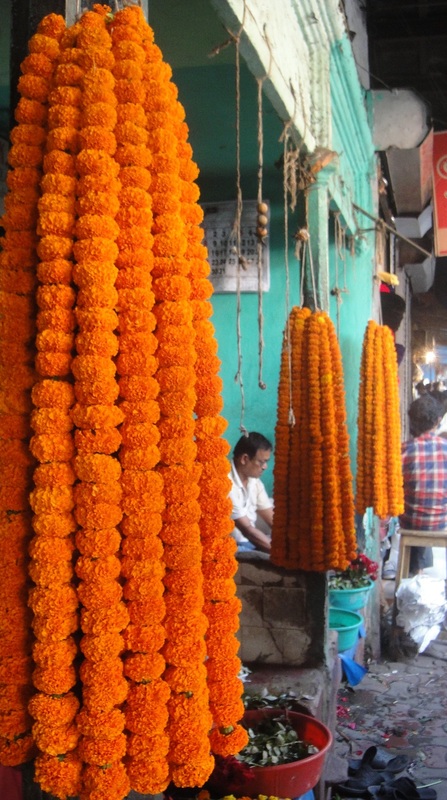 By the end of the day, we had ridden trams, learned about Kolkata’s famous citizens, marvelled at the scale of the flower market, smelled the streets’ fragrances – both sweet and, well, I’m sure you can imagine Kolkata’s opposite to sweet! 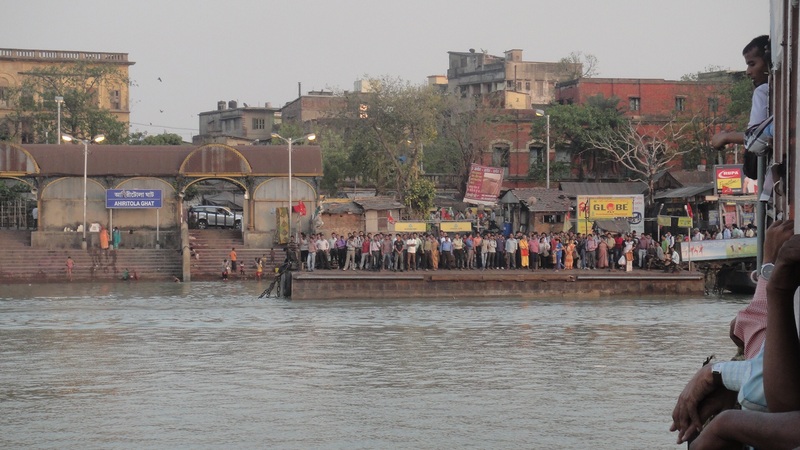 We even took a ferry across the Ganges, on a vessel that was so overcrowded that when we approached the jetty, with most passengers crowded to one side to disembark (the side where I was leaning on the railing), the ferry’s Titanic-like tilt became quite alarming. My lean quickly became a white-knuckled grip. Then I saw the hundred or so people on the dock who were already jumping the gap onto the SS Calcutta’s deck. I wasn’t thinking Leonardo di Caprio’s “King of the World”; I was telling myself “don’t inhale the water if I end up overboard”! All the commerce, cooking, bathing, prayer, sleeping and living happens on these dusty streets. Everything is for sale: a safe-making district, perfume market, brothels, wholesale shoe area, watch bazaar and colourful fabric shops. 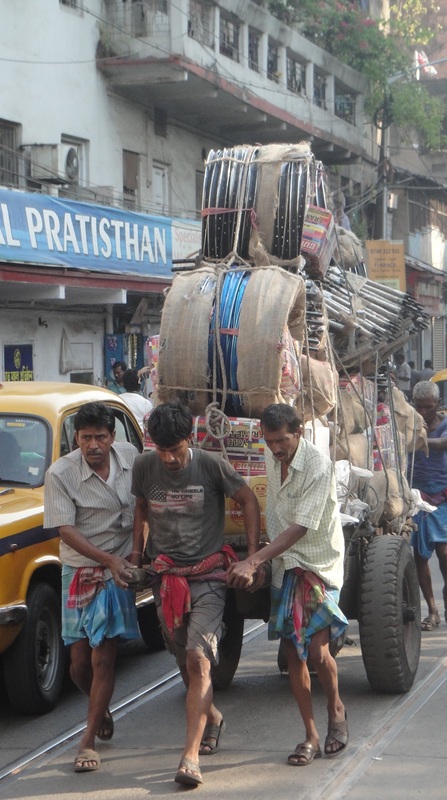 Everything is carried by trucks belching black smoke, carts powered by foot, or bulging sacks balanced on sweaty heads. Commodities essential to Indian life. Goods destined from these Kolkata wholesale markets to shops and stalls in cities and towns across the breadth of the sub-continent. We experienced “White Kolkata”, “Grey Kolkata” and “Black Kolkata”. Black Kolkata, that’s the scary slum part. But even as we stepped through the twisting passages of the pottery idol-making district, I felt nothing but awe for the people and city. As Kaushik aptly explained, “Kolkata is like an onion; with each layer you peel away, it can make you cry with sadness, but also with joy.” After all, Calcutta is the City of Joy. 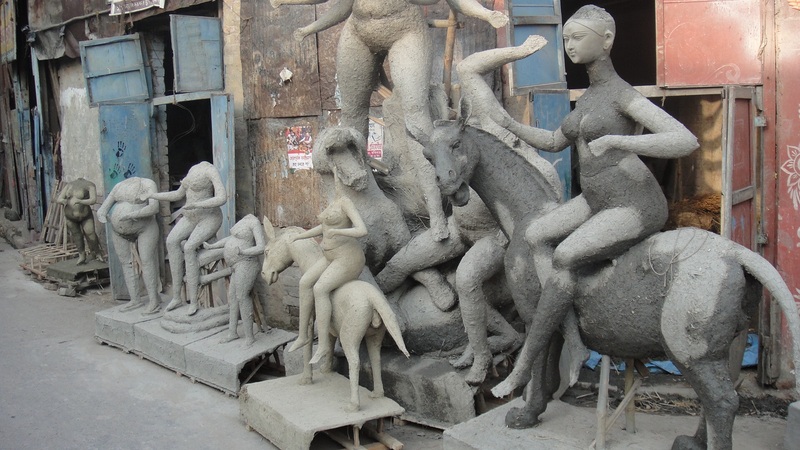 This entry was posted in India and tagged Black Calcutta, Ganges, Kolkata, Kolkata Story Trails. Bookmark the permalink. 3 Responses to The Onion that is Kolkata. I don’t usually like to take tours but this one sounds fascinating and so worthwhile. It is now definitely on my list.